“Round Hill” (Kerekdomb) Festival – Tállya – 2017. Tállya is the geometric center of Europe and its surroundings is the jewelery box of Tokaj wine region. The venue is unique with its vine-covered hillside, small cozy wineries and the castles and courtyards. With the support of the Hungarian Tourism Agency, this will be the second year all-round weekend that will not bid farewell by this festivals in September. The organizers are preparing a separate venue for those arriving for the week-end to stay in the tent. During the autumn six locations are waiting for visitors at the Vincellér House Concert Hall’s Main Stage. At the Wine Festival, literary and wine programs joins together. At the creation house folk handicraft artists present their own hand works. Tállya is the geometric center of Europe and its surroundings is the jewelery box of Tokaj wine region. The venue is unique with its vine-covered hillside with small cozy wineries and the castles and courtyards. Compared to the summer opening festival, the organizers have created tent sites at Tallya. Tasting will be available from Thursday, September, 7. – Sunday, 10. The tent ticket can be purchased through online or on spot by any visitors with the festival entry. The Maillot Castle will be the venue for children’s programs awaiting for the little ones every day. There will be Esther Bíró – Esther-chain, the Holló Ensemble and the singer of the Belmondo band and many more. The venue for classical concerts will be at the Roman Catholic church with Edina Mókus Szirtes, the man of St Ephraim, Amadinda, Musica Florens and a special trio Iván Madarász, Esther Kővári and Gergely Matuz. During the festival, within the theater programs: the House of Arts, the RS9 Theater, Manna Production and the Momentán Society productions can be seen. 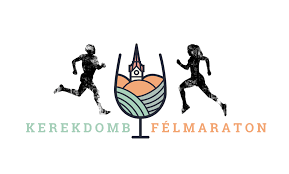 Culture and Sports are a great addition to the Round Hill, so those who would like to get into the move may attend taking part in the half-marathon (distanced 7kilometers Mád -Tállya). The children may also get on the run by 1 kilometer Ludas Matyi Race, only limited on the site (9.30 a.m. – 10 a.m. on September, 9). The organizers recommend online registration within the deadline date: September, 1. 2017.